After 41 years as member of the board of directors for Affordable Housing Management, Inc., Mr. Cameron Cooke has decided to retire. Mr. Cooke's service and dedication to our organization will be greatly missed. 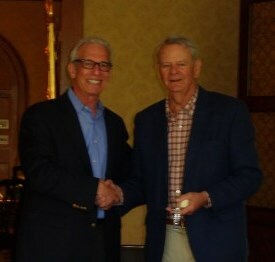 Mr. David Levy, Executive Director, presented Mr. Cooke with a watch as a token of our appreciation.